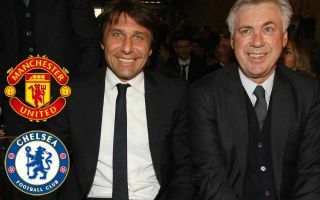 Odds have been slashed on former Chelsea manager Antonio Conte replacing Jose Mourinho at Manchester United, just as he did at Stamford Bridge two years ago. The Italian tactician was brought in at Chelsea in the summer of 2016, taking over after Guus Hiddink had taken the job in a caretaker role for a few months after Mourinho’s exit from the west London giants. It seems there may now be a chance of history repeating itself over at Old Trafford as Mourinho makes a poor start to the season with United. The Red Devils have lost two of their three opening league games and look in disarray after a difficult summer in the transfer market, in which only Fred was brought in as a realistic challenger for a regular starting spot. Conte did a pretty good job at Chelsea, winning the Premier League title in his first season in charge with largely the same side that finished 10th the year before after a disastrous first half of the campaign under Mourinho. Man Utd fans, would you take Conte as a replacement for Mourinho? Things turned sour for the 49-year-old in his second season with the Blues, but he remains thought of as one of the finest managerial minds in the game and seems a good appointment if United could him. According to football.london, Paddy Power have slashed odds on Conte joining United from 14/1 to 5/1, making him their second favourite for the position now. Mourinho will need to turn things around soon to avoid more talk of big names possibly replacing him, with various rumours going around at the moment as it looks like being another typical third season nightmare for the Portuguese.